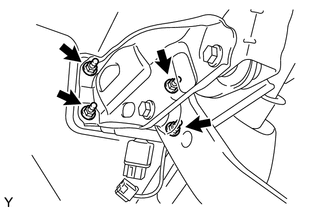 Release the vacuum from booster by depressing the brake pedal several times. Then remove the brake master cylinder from brake booster. 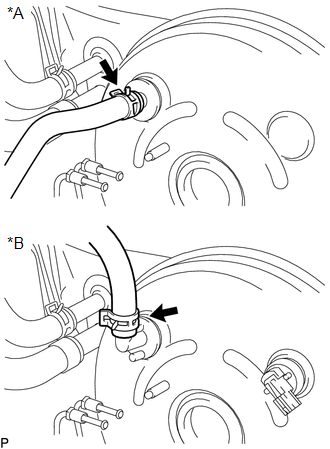 (b) Disconnect the vacuum hose from the brake booster assembly. (c) Remove the 4 nuts, and pull out the brake booster assembly. (d) Remove the gasket from the brake booster assembly. (e) Loosen the lock nut and then remove the push rod clevis. 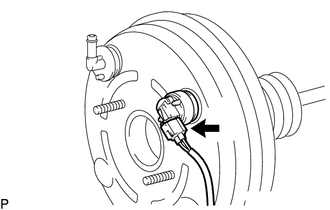 (a) Remove the vacuum check valve from the brake booster assembly. 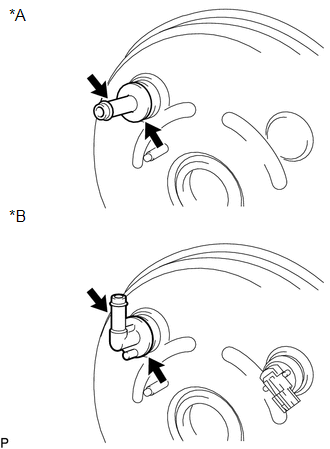 (b) Remove the grommet from the brake booster assembly.